iConnect Academy uses online curriculum with teachers located in our school. Grades 6-12+ students and their teachers get to know each other through weekly face-to face interactions. This blended learning approach allows them to interact with peers, online and in-person, and easily get help from their teachers with especially difficult concepts or topics. 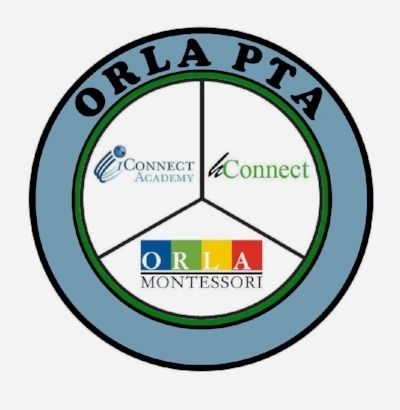 ORLA Montessori offers families: The Children's House: a tuition-based 1/2 day a.m. Pre-k (4 by Aug. 31) combined with a full-day Kindergarten, a 1st-2nd grade, three 1st-3rd grades, and two 4th-6th grade classrooms for the 2016-17 school year. Montessori and current hConnect students moving to 7th grade have the option of enrolling in ORLA's MAST 7 program. The Math, Art, Science and Technology program (MAST) is for students who are seeking an integrated student-centered learning community that is focused on inquiry-based learning. Our learning community started MAST 7 in fall 2015, and added 8th grade for the 2016-17. As part of the Olympia Public Schools, hConnect is a school of choice supporting home-based instruction by providing enrichment classes and resources that may be difficult to provide at home for grades K-12. Our Washington certificated teachers work with families to support them in the education of their children.